It is normally considered that the Enterprise Resource Planning (ERP) is useful only for big organizations where there is a huge data and company can also afford the cost of such a huge system. It is also assumed that the largest barrier of small companies for becoming the big one is to incorporate a fully integrated ERP system within the organization. It is a fact that small business ERP solutions are costly, but if you want to develop your organization and become a big business, you need to prepare yourself for bearing the cost of ERP system. We want to accept that all the companies whether small or large, want to have an ERP if they are working in United Arab Emirates but the issue is the affordability of the system. The companies normally have to estimate the normal cost of an ERP for a year and for the longer period of time and after that, decide to implement it within the organization. It is also important to mention that the organizations must know in which departments this system should be implemented. Generally, In United Arab Emirates, especially in Dubai, ERP solution providers provide some wonderful features to the small businesses so they can also be the part of those organizations which are making their way towards, progress and development of their businesses. ERP helps small business to integrate the flow of information between the different business processes in the organization while integrating business transactions with the financial system of the company in real time. It helps to post necessary business transactions to the company’s general ledger as well as other financial systems. This allows the management to view the financial implications when it is needed. It helps to cover the core processes that start from sales order entry, product pricing, shipping/delivery, inventory and warehouse, production, procurement, invoicing, financials and several others. Key data and information of all departments are made available on a single platform at the right time and place. Hence, the need to contact employees of different departments and/or go through excels sheets to collect disintegrated date does not arise. 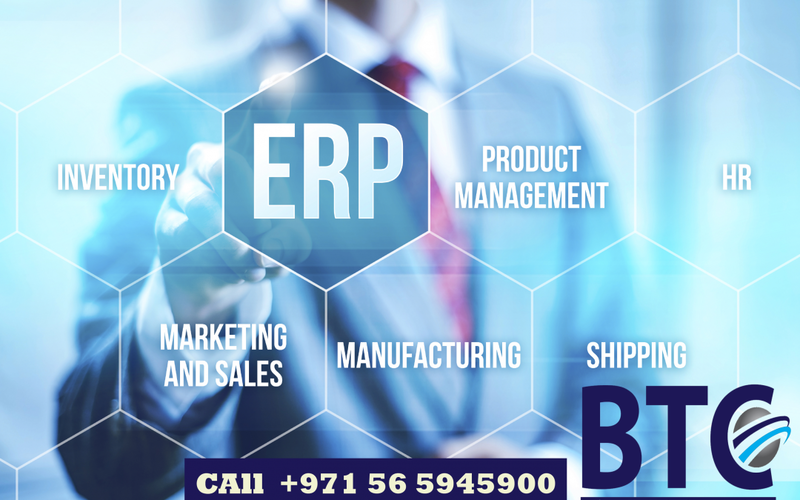 ERP system maintains a master date for vendors, customers, products/materials, routines and manufacturing work processes, bill of material (BOM), and other data which is critical. This helps to maintain consistency in the work processes, saves time, and enhance productivity. Increase in the volume of business transactions and rigorous use of spreadsheets may lead to lack of control over the data and to the operating state of collapse. Keying data on the spreadsheets can also lead to errors, leakage of confidential information and unnecessary chaos. One of the greatest advantages of ERP software in small business is agility and flexibility for adapting to market needs or the conditions that are imposed by buyers. Dedicated ERP software provides flexibility in terms of making necessary adjustments in data management to maintain business flexibility. For example, stock adjustments, changes in sales figures, cancelation of orders etc can be flexibly maintain in an ERP software rather than deleting data and keying information in a spreadsheet. In case of control via spreadsheets, the budget is released, however, it is not checked if they had the confirmation of receipt. This may lead to forgetfulness, and thereby loss of sale. Dedicated ERP software has an automated authentication mechanism to prevent this from happening. It also sends daily report of proposals so that necessary measures can be taken. It is a long term investment, provided the system provider/vendor remains a partner for prolonged period. ERP system helps to maintain consistency in business policies and processes throughout the organization which improves customer services and profitability. Taking core business decisions requires the availability of necessary information and accurate data at the right time. In small business when such data and information are easily available and constantly updated in the ERP system, the management is able to take timely decisions that are necessary for business growth and sustenance. With the help of available data, the managers can compare sales figures and revenue of different months, forecast future sales, financial needs and take effective decisions that suit the business requirements. The small businesses are more interested in these ERP solutions, especially in United Arab Emirates as the companies are providing interest-free payment plans. It means that the ERP solution providers want to introduce this system in the smaller organizations to facilitate them for working in the mainstream of the businesses from the start. It is also important to mention in this discussion is that the maintenance of these ERP systems at the start is not expensive and in the first year, it is almost free. So, if you are thinking that the purchase of these ERP systems can be afforded but the maintenance is not, it is not true as the companies have made the maintenance affordable and with the guarantee that this fee will not increase in the future. Contact us for more.